Benjamin stared at it. It didn’t stare back. He then looked at the reinforced glass between them. 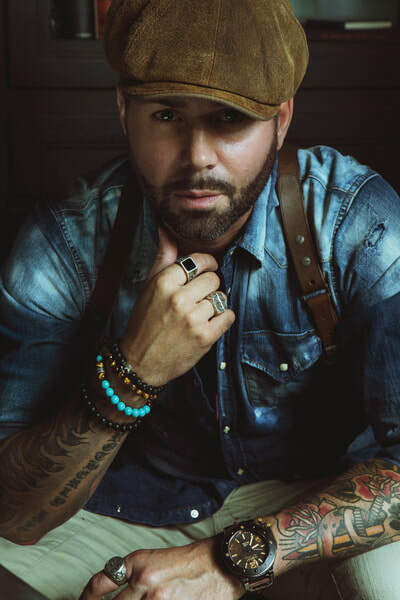 Benjamin’s piercing blue eyes appeared gray in the smoked transparent shield he had created. Too late to worry about it now. Everything was already in motion. He blinked and once again gazed into the dark, frigid water. His heart faltered. Damn, where is it? Benjamin placed both hands on the cold glass wall and peered inside. Seconds passed. Minutes. It felt like years. A violent crack tore through the room as the thing propelled itself against the invisible barrier. Benjamin reeled backward, and fell to the floor. His head smashed onto the tiles, spilling blood like an explosive fan of crimson paint. He propped himself up on his elbows. Could it get through? No. The glass was intact. The strange creature slowly glided back and forth in the murk, before disappearing out of sight. Benjamin slumped back on the floor and felt the back of his head. Warm blood trickled through his leathery fingers, matting the silver hair to his scalp. Sickness roiled in his stomach. He turned to the side and heaved a thick, off-white liquid onto the tiles. He wiped the vomit from his beard as the blackness closed in. In the darkness, voices called out to him. But their words were muffled. Benjamin couldn’t understand them. They didn’t make sense. Only one thing made sense to him. Hello Readers, Bloggers, and Awesome people! Happy Monday All! Another late edition of Building the Book Pile - no excuses this time... just forgot to get it done. My apologies. I have been working so hard to get through research and research reading and writing that I have done ZERO fun time reading... it is so sad and I need to break out some time for that. School takes up a lot of time :P Speaking of school in the next term I am actually going to take two courses since it is a slower time at work and I may be able to work on some of the readings while sitting at my desk... but it will be a lot more work and so summertime blogging is probably out of the question... I will try my best though. Not to much happened last week - school stuff, work all week, Easter with the family and a friends birthday dinner, so I was busy. I would like a day alone to read .. I am hoping to have one of those very soon. Share about your week with me in the comments below! 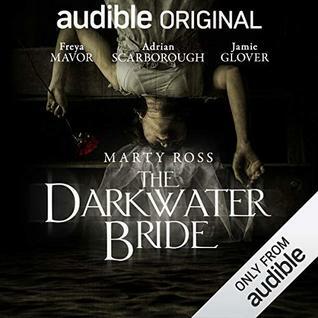 The Darkwater Bride by Marty Ross - my other April Freebie from Audible. 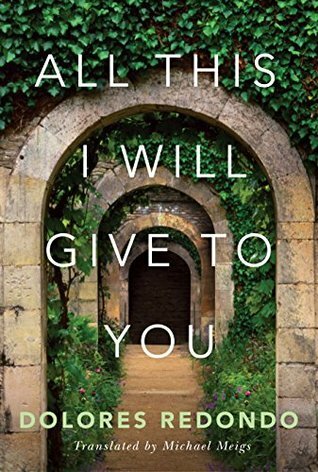 All This I Will Give To You by Dolores Redondo - From Amazon, Freebie for World Book Day. 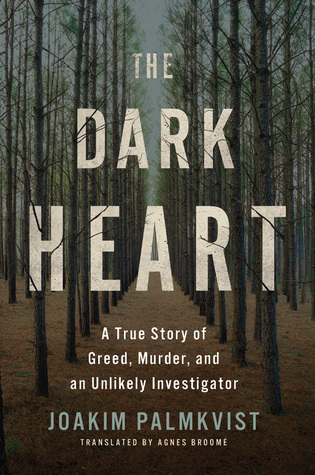 The Dark Heart: a True Story of Greed, Murder, and an Unlikely Investigator by Joakim Palmkist - From Amazon, Freebie for World Book Day. Have you missed anything lately? Comment and leave me a link to your Round-up/ STS/ Weekly...anything, post and I will happily stop by and say hello! Source: From Netgalley and Andrew McMeels Publishing in exchange for an honest review. This in no way alters my opinion or review. Source: From Flyaway Books and Librarything Early Reviewers Program in exchange for an honest review. This in no way alters my opinion or review. When an array of opinionated shapes just can't find common ground, AND comes to the rescue. AND is the link that helps each pair of shapes overcome their differences, teaming up to create something entirely new. Bouncy rhyming text and colorful paintings come together in a fable that will prompt children to look for the unexpected connections all around them. The Story of AND is such a cute book about togetherness and the overall theme is breathtakingly done. This book includes a link with a song to go along - great for families that like to read and sing together. AND shares connections in the most unexpected places and helps shapes form friendships and create beautiful things together. The images throughout are vibrant and whimsical and will surely keep young readers entertained. The flow of the book is great and it was a quick read...without a child, it may be longer as their curiosity is spiked. This would be a great book to have children guess what the shapes are going to come together to be before turning the page. I thought this was a wonderful book and that families will enjoy it. It has a great message of bringing things and people together and I love books that focus on word and make them fun for all ages. This was a really long Synopsis for such a short listen, and so re-capping seems a bit pointless. 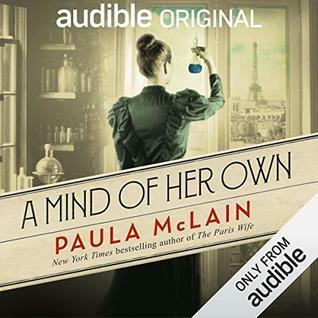 Nevertheless, this Audible Original is about Marie Curie as she is in university and the struggles of being a woman in the field, but it is also a romance and it tells the tale of Marie meeting Pierre. This as a really quick listen and it was interesting ans to the point. The beginning threw me off quite a bit as I got used to the French names for places and things being thrown in, as I don't know French it was a bit off-putting. In the end it was all fine. I liked listening to the tale of her coming to be an university and how strong-willed she was to get there. She was a very determined woman and this was a great way to be introduced to her life. I found that the romance bits kind of took over once Pierre was introduced but that was the time period I guess, so many things revolved around the men , so can we really be surprised it was written this way as well? Pierre was a gentleman and I really hope that was an accurate depiction. Overall this was a good listen. If you are looking for something short and interesting and have an affinity for the sciences, this may interest you as well. Late Late Late .... sorry I have been sick and trying to get back in to the sing of things. Blarg! Sunday (the 7th) was such a gorgeous day last weekend. It was warm out and I got a leaf blower and go most of the leaves up into the back of the yard and out of the way and we cleaned up the porch area. The hubs even got a motorcycle ride in. Then the rest of the week...on Monday I woke up with a cough and a sore throat. I ended up leaving work early and was out until Thursday with a horrible horrible cold. The cough is still lingering and it won't let me sleep... I hate being sick. It also sleeted and snowed a bit more (yay.....NOT! ), we are so done with this and I am sad. Saturday was nice though, I just hope it stays nice now that it is officially Spring. My week was pretty much useless last week, how was yours? This week (Monday) I still have a horrible cough that I hate, but I rand a bunch of errands - I went to the DMV and renewed my license, I got a car inspected, I cleaned our porch off a bit, and I went to the dentist - I also took a nap in there because I am still sick but I call it a win! This Friday is the Hubs and I's anniversary and then we have a friends birthday and Easter brunch so hopefully I get enough rest this week and the cough goes away so I can enjoy all the festivities. 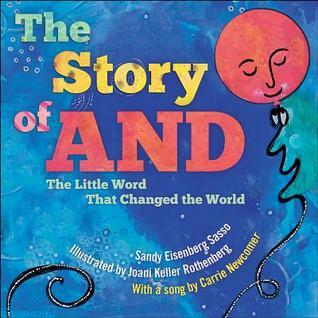 The Story of AND: The Little Word that Changed the World by Sandy Eisenberg Sasso - From Librarything Early Reviewers program and Flyaway Books for review. 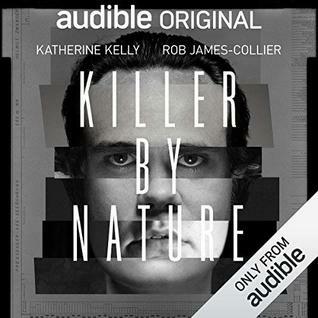 Dramatic and dark, with an immersive—and dare we say killer SFX soundscape that will have you checking the windows and bolting the doors at night—Killer by Nature is a gripping psychological thriller that puts you on the trail of a psychopath. Katherine Kelly (Mr Selfridge) and Rob James-Collier (Downton Abbey) head an all-star cast from the UK that includes Thomas Turgoose (This Is England ‘90), Angela Griffin (Cutting It), and Will Mellor (No Offence). In this Audible Original production by Jan Smith, Kelly is utterly convincing and riveting as Dr. Diane Buckley, the forensic psychologist sent to interview Alfred Dinklage, The Playground Killer. She is well-matched by the unnerving performance of James-Collier as a serial killer—the man can make nursery rhymes sound sinister and creepy. It’s up to Buckley to figure out if she is dealing with a serial killer who can seemingly walk through prison walls or a copycat determined to carry out Dinklage’s violent legacy. Not only must Buckley navigate the crime scenes, and correctly read the clues concealed there, but to learn the truth she also must enter the twisted and terrifying mind of Dinklage, and wonder if serial killers are born or made. Please note this contains violence and adult content and language. I was able to get this Audible Original from Audible with my subscription as a freebie in February and they only offer 6 every month so I choose this one along with a young adult read - free books yay! The synopsis sounded interesting and I like books about psychology related things, but it fell short and I was not a fan. The audiobook is broken up into episodes and there is a full cast of readers, which is kind of fun. Each character is a different voice to listen to. The book is about a serial killer and a forensic psychologist and a copy-cat killer, so it is a murder-mystery coupled with a drama. While the main story was interesting and I liked the murder-mystery pieces, because of the sub-plots I found it hard to get into. The pacing was a bit weird and that might have been because there were so many characters to keep track of and with all the voices it was an added layer of difficulty. The sub-plots about Buckley and her family were weird additions and I found her to be a horrible mother - so it was not surprising that she is having issues with her teen daughter. The there is the inspector who I think had a thing with Buckley at one time but I can't be sure because all the voices sounded the same as I got more into it.. and I felt like they should have started to distinguish themselves. Part from the sub-plot issues, I had a few other dislikes with this one: First, the story is broken up into episodes, which is fine, but when it breaks before each one there is louder music and the title again - every time I felt like the book was coming to a close rather than diving in deeper. Secondly, all the sound effects; on top of a cast of readers there were sound effects - some made sense (doors closing) and some were just background noise and obnoxious. I think that this made it feel too real and with a book I want to zone out and into the story and because I was checking my surroundings when these sounds happened I couldn't focus. So, this was not for me, but it was free so I gave it a chance and now I know. Source: From Callisto Publishing Club in exchange for an honest review. This in no way alters my opinion or review. Channel the witch within―a beginner’s guide to history, tradition, and modern-day spells. Imagine a door between the world you know and a world where tradition, ritual, and the occult lie. The key to unlocking it is in this book. Open it―and invite magic into your life. The Door to Witchcraft teaches new witches everything they need to know to start their witchcraft practice. From harnessing your natural psychic abilities to manifesting your desires with timeless spells, this book guides you through every step of the magical process. Witchcraft through the ages―Learn the history of the craft and the evolution of the practice up to the present day. How to tap into your powers―Decide what kind of witchcraft you want to practice and master fundamental techniques for traditions, rituals, and ceremonies. The art of casting spells―Manifest your intentions with witchcraft spells for love, health, career, friends and family, spiritual work, and protection. 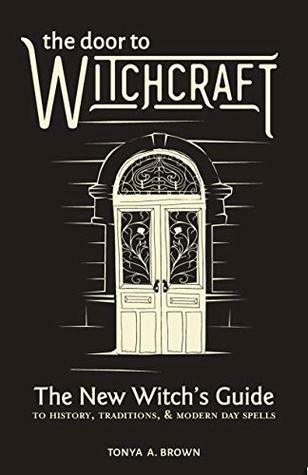 Cross the threshold to the world of witchcraft and let this book be your guide to becoming the witch that you are destined to be. I have love books about witches and witchcraft ever since I can remember and so when this book came around, I was curious, mostly about the history aspect it had to offer. I ended up really enjoying it as an informational piece even if I don't plan on moving forward with this as a practice. The Door to Witchcraft is a book about just that, it is written for beginners who have no clue what they are getting into and why. The beginning is more of the history and different types of practice, then there is information about the different ways to harness energy, and then a section of spells which includes spells for love, work, family etc. The book is organized very nicely and was easy to read and the flow was good. It included small illustrations throughout, some that helped with definitions and others just there for visuals. 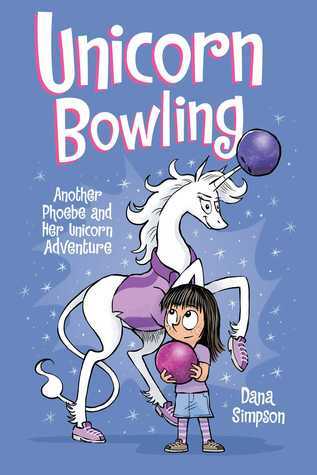 And the author threw in a lot of witch-esq pop-culture references which were fun and refreshing. What I liked about this book is actually something that I have been reading a lot about in other self-development books lately - and that is the power of positive thinking and the harnessing of energy, mostly positive energy to accomplish your goals. While this book is taking it in a different direction than the others in utilization, I think it has a lot of similarities to the overall idea, an example begin meditating and bringing energy to yourself. I thought that for what this book aims to be, and as a "beginner" in that I don't know anything about the practice, this book was a great starting point. I would have liked some more details before having access to the spells that were included, but I also like to learn as much as possible before jumping into the doing bits. However, if you are interested in learning more, you may enjoy this book. Source: From Netgalley and Patchwork Press in exchange for an honest review. This in no way alters my opinion or review. If there's anything Kala knows, it's monsters.Witchcraft and Monsters is a debut poetry collection by Kala Godin. There is magic in everything we do.And there are monsters in each of us. 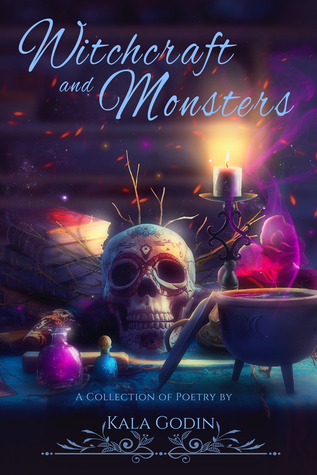 This collection is broken into five parts.Witchcraft.Fairytales.Bodies.Bad ideas.Endings. I am not a huge fan of most poetry, and it isn't for lack of trying. This cover called to me and the synopsis pulled me in the rest of the way and I requested it for review. I adored this poetry book, it was not what I was expecting and it was strong and emotional and I felt every word of it deep in my insides. Kala did such a beautiful job pulling me in as a non-poetry reader and her words resonated so strongly. It may because I understand being/ feeling broken and overcoming that feeling. The way that she expressed herself was simple yet deep and I did't feel like I was missing a bigger picture, I felt like I was there with her. All that being said this is a very emotional read - at least it was for me, and there my be trigger points or words that cut and that is part of it, but if you are not prepared it may not be for you. I do recommend this book, but as a casual poetry reader not an expert :). Stephanie (aka Gorelenore) works full time for a university and in her spare time reads...A LOT! 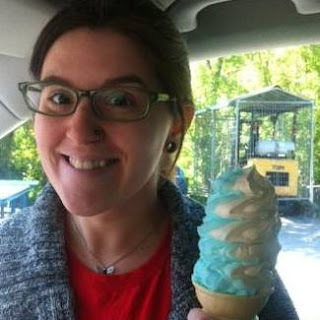 She lives with her husband, her dog Rolo, and her cat Cooper in the Green Mountain State of Vermont. 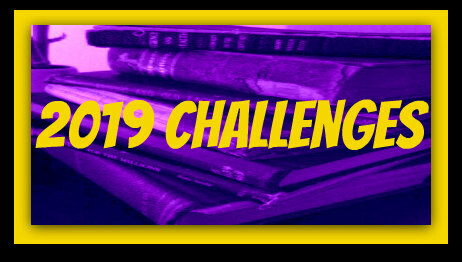 In compliance with FTC guidelines, advanced copies were provided by authors and publishers in exchange for honest review purposes, no monetary compensation is exchanged. Book images obtained from online sources are cited or from Goodreads. 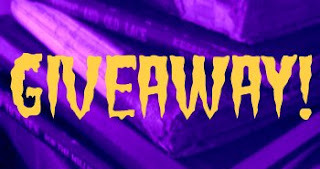 Images of book covers, tour buttons, author photos, and giveaway hop buttons have been given by the author or publishers for promotional purposes. Other images being used on the blog have been designed or paid for (unless otherwise noted) and are under no circumstances to be used without prior permissions. © 2012-2018 Stephanie Turner Some Rights Reserved. Theme images by luoman. Powered by Blogger.